How do I log in to Office@Hand Meetings? 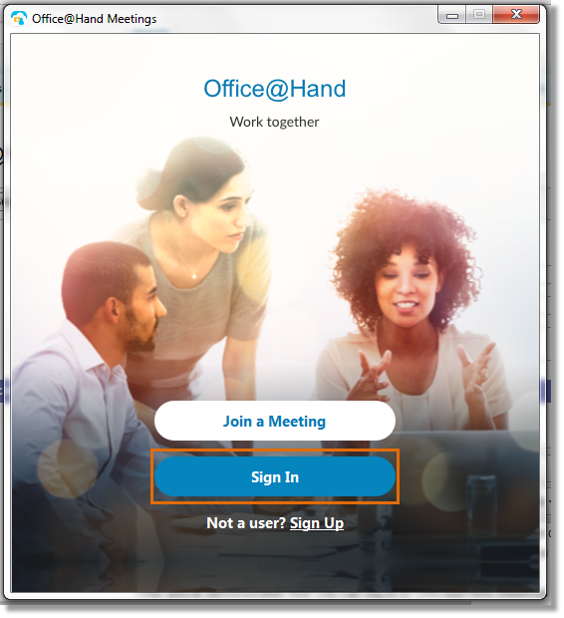 Logging in to AT&T Office@Hand Meetings needs to be done so that a User can setup, start or join a Office@Hand Meeting. 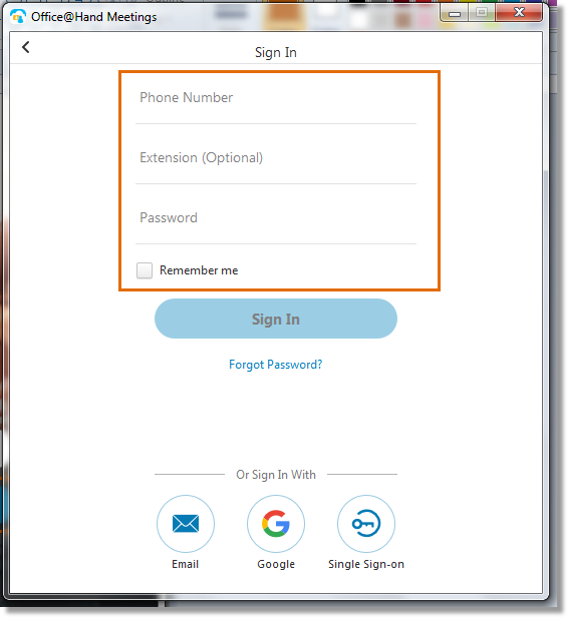 Log in using your Office@Hand account information (phone number, extension number, and password), or Single Sign-On. Launch Office@Hand Meetings for Desktop. 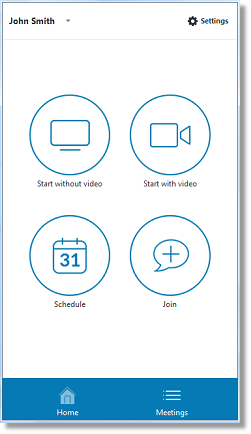 • For Windows: Click the Start button and select AT&T Office@Hand Meetings. • For Mac: Select AT&T Office@Hand Meetings on the dock. Enter your login credentials and then, click Sign In. You will be taken to the main screen once you have successfully logged in. 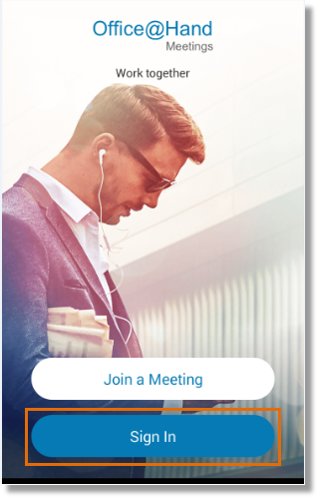 Note: While the screenshots below were taken from an iOS device, the same features are available on Android devices and the same steps apply to Office@Hand Meetings for Android. Launch the Office@Hand Meetings for Mobile. 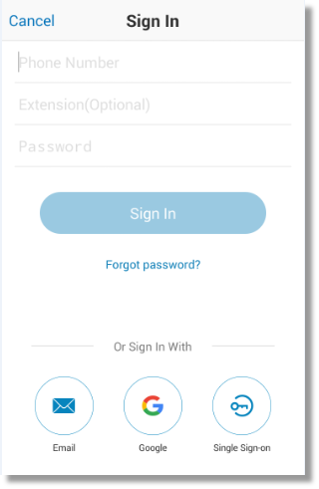 Enter your Office@Hand Main Phone Number, Extension (Optional), and Password then, tap Sign In.